Whatsapp Tricks: Hey Guys, In this Tutorial I will tell you about Some Cool Whatsapp Tips and Tricks, Which you should try in your Android or iPhone device. Whatsapp Is Most Trending Messaging app these days. Everyone Use Whatsapp for chat with their Friends and Family members. So in this Tutorial, I will tell you about Some Cool and Best Whatsapp Tips and Tricks, which you should try in your Device. If you are crazy About Tips and Tricks, Then Read This post till the end, for Check Latest Whatsapp Tips and Tricks, Which you can use in your Device and Get Good eye in your Friends. We have Shared Best and 100% Working Whatsapp Tricks in this Post. I have added most popular and trending tips and tricks of Whatsapp in this post, which you can use in daily life and make your whatsapp more cool and smarter. Whatsapp have Crossed 1 Billion Users, and it's Very Trending These days. People are crazy about new tricks of Whatsapp. You can Check Latest and Working Whatsapp Tips and Tricks from below post, and follow them easily. 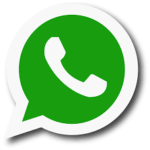 Previously, We was shared Whatsapp DP collection, in which you can set Best Whatsapp DP in your Profile. We have Shared Many Whatsapp Tricks in This post, like Read Whatsapp Messages without Opening app, using 2 Whatsapp Accounts in one device and much more cool tricks, we have shared in this post. For get most out of your Whatsapp, we have shared list of some cool and best Tips and tricks of Whatsapp, which you can use in your device, and it will make your Whatsapp more cool. So checkout Full List of Whatsapp Tips and tricks now form below. 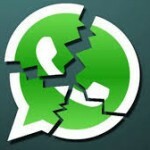 Read Whatsapp Messages Without Open App. 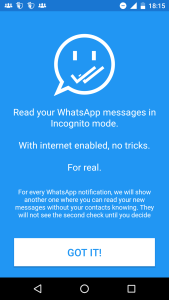 If you are using Whatsapp in your Device, and you want to read Whatsapp messages without opening it, then you can use below Mentioned App. 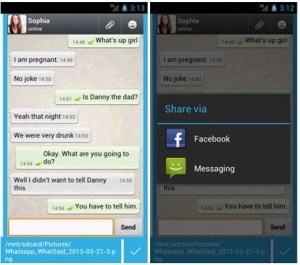 you can Read Whatsapp messages without blue ticks, without showing your status online with the help of this App. This is Actually very amazing feature of This app, in which you can anonymously read Messages of your friends in Whatsapp. 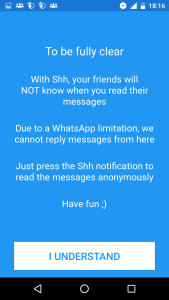 App Name is SSH Whatsapp, which you can Easily Download from Google Play Store for free. After Download SSH Whatsapp from above link, Simply Open This app, and Click on Got it option like below screenshot. 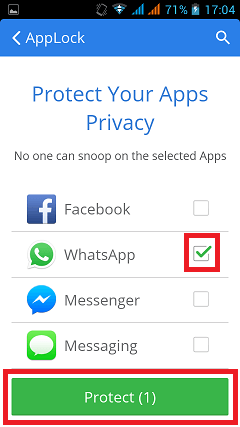 In Next Steps, it will ask you to enable accessibility, simply click on Enable, next to the SSH Whatsapp app. This app will show you a message, click on I Understand, and continue for use this app. Now, In next screen select option, where you want to hide last seen while reading messages. Simply click on Groups and Users, if you want to read whatsapp messages from groups and persons, or select option of Only users or only groups according to your choice. 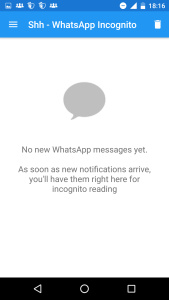 Now in Main Screen of this app, you will see all whatsapp messages, which you can read without actually open whatsapp, and all your last seen will not be changed. If you want to enable Chat Heads in your Whatsapp, like Facebook Messenger app, then you can use this app, which i have mentioned below. 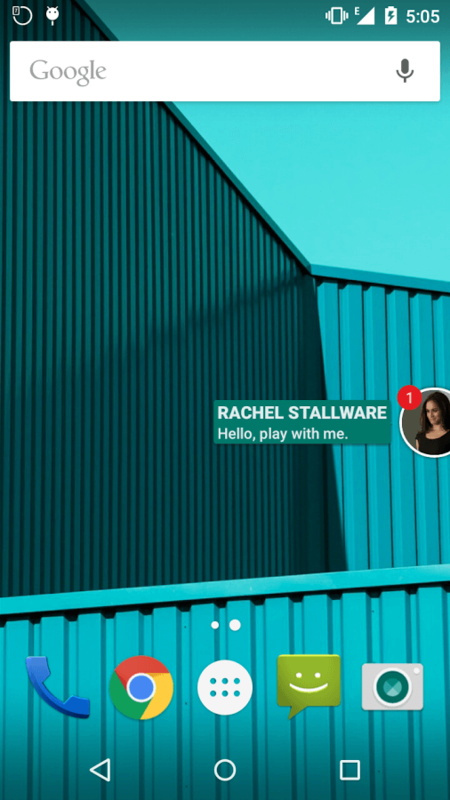 It will be a lot easier to read whatsapp messages with the help of Chat Heads. 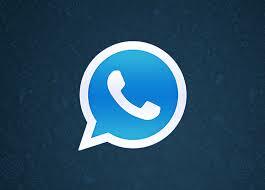 With the help of this app, you can read Whatsapp messages in pop up on-screen, like Facebook Messenger app. This app will not change your last seen or online status, even after reading message with the help of this app. One Disadvantage of using this app is that, you can only read messages from this app, you can't reply messages from this app. If you want to enable Chat heads in Whatsapp with simple trick, then checkout Full Steps Now from below. 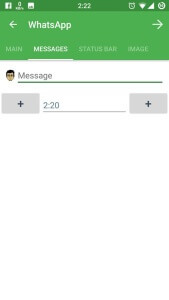 Checkout Full Post on How to Enable Chat Heads in Whatsapp. 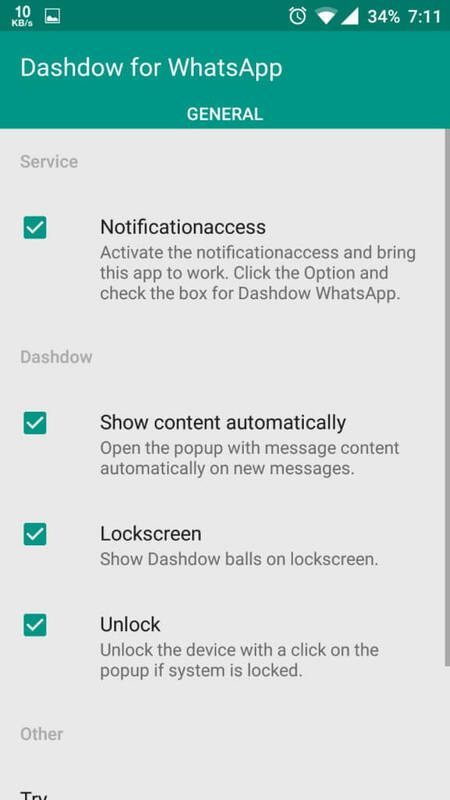 After Download and install Dashdow app from above link, simply open the app, and you will see option of Notification access, which is first option, click on it. It will redirect you to settings, click on Dashdow app, and select Tick option, it will ask you for confirmation, and click on OK Button if you want to use this app. And you are done, no additional Settings needed for use this app. Whenever your friend will send you message, you will get chat heads, in which you can read messages, without even letting them know, that you seen their message. These days, Even Mobile Phones comes with dual Sim facility, so why not we should use 2 Whatsapp accounts, in One android device. one account should be use for personal use, and second account will be used for business purposes. 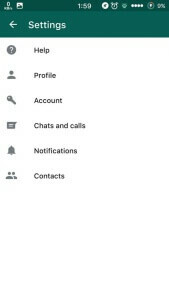 Officially, there is no way, for using 2 Whatsapp accounts in one Android Device, but with our trick, you can easily use 2 Whatsapp accounts in one android device without any issues. One Whatsapp will be real Whatsapp, and second will be GB Whatsapp. So you can run multiple whatsapp accounts in single device with my trick, which i will mention below. Also Checkout Full method for how to use Dual Whatsapp account in one android device easily. At First, Make Sure you have already installed one Whatsapp in your Phone, from Play Store. 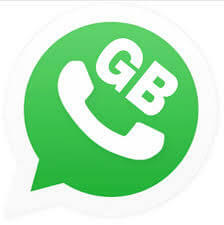 After Download GB whatsapp in your Phone, Simply Open it and enter your Second Whatsapp Number in it. Whatsapp will automatically verify your number via OTP code, make sure your sim card is in your Phone. 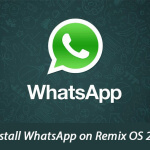 Now, you are using 2 Whatsapp accounts, with 2 apps with this Trick. 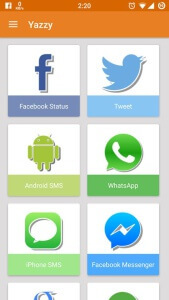 Now Enjoy 2 Whatsapp Accounts in your Phone easily. If you are Afraid, that someone else will read your Whatsapp chats / messages, then you have to add pattern lock in your Whatsapp. I will explain you Step by step method, for adding pattern lock in whatsapp easily for free. I am sure you have added pattern lock or pincode in your device. if you give your phone to someone else, after unlock it then your friends will able to see all your Whatsapp messages, and ready your chats. 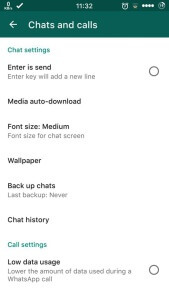 So you should add Pattern lock in your Whatsapp, for secure your chats. 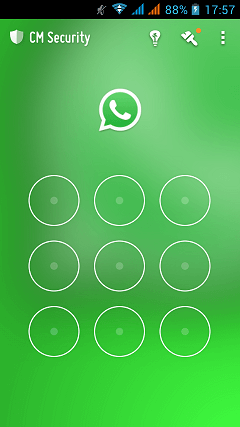 Checkout Full post on how to add pattern lock in Whatsapp. After Install App From Above Link, Open This app, and you will see option of Lock in Top Right Corner, Simply Click on That. 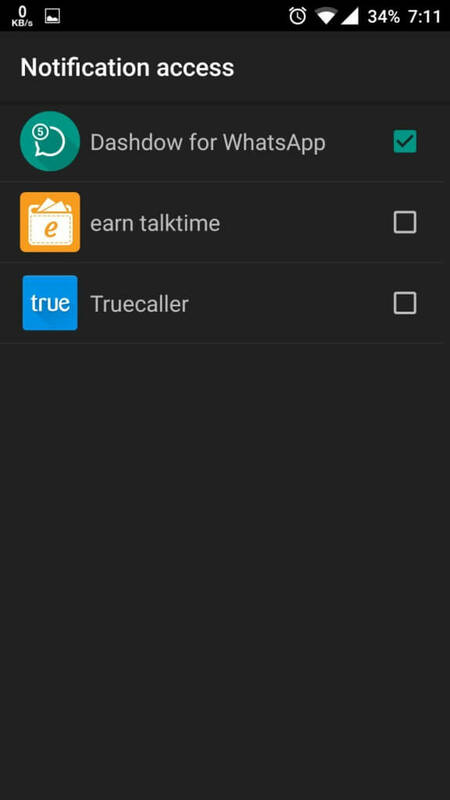 You will see some apps from this list, simply select option of Whatsapp and tick on it. and click on Protect Button. Draw pattern lock on your choice, it will ask you to enter pattern lock twice, and you are done. Now Whenever you will open Whatsapp, it will ask you for enter pattern lock, not your chats are secure. 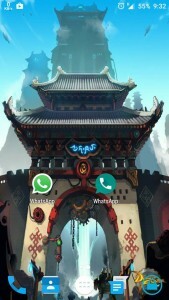 Want to Set Whatsapp profile picture, which is not Square? Well, it's possible now with the help of simple app, which called as Squaredroid app. With the help of this app, you can set Whatsapp DP Without Cropping it. If you change your Whatsapp Dp, Then you may have noticed that, It ask you for crop picture, because of cropping, some part of picture will gone and others can't enjoy your profile picture, So you must Use This method for Set Whatsapp Profile Pic Without Cropping. After install Square droid app from above link, simply open it as normal app. 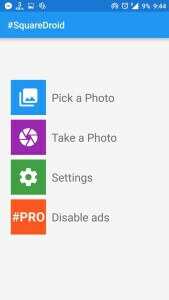 Now, You will see some options here, Click on Pick a Photo Button, and Select Picture of your Choice, which you want to set as Whatsapp DP without cropping it. After That, it will make your Picture Square, without Even Cropping it like Below Screenshot. Now, click on Save option from Top Right Corner, and you are done. 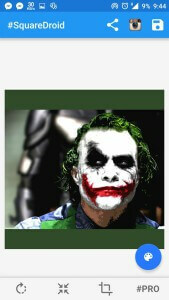 Open Whatsapp, and Select Newly Saved picture, it will Set As Full Picture, no need to crop picture. 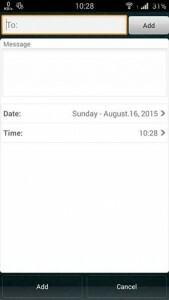 If you want to Schedule Whatsapp Messages from your phone, then you can follow below tutorial. You should schedule whatsapp messages for Several Reasons. For Example, you want to Wish Someone Happy Birthday, in his / her birthday right on 12:00 am, then you can Schedule a message, with the help of Below app, and you don't need to worry about anything. It will automatically send message at 12:00 am, which you want to send. 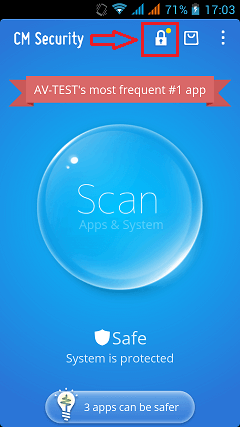 Remember one thing, for use this app you need root access. If your phone is not already rooted, then checkout How to Root Android without PC tutorial, and it will help you for root your device. Also Read Full Tutorial on How to Schedule Whatsapp Messages. 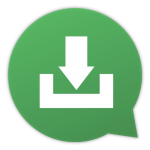 After Download Whatsapp Scheduler app from above link, Simply Install it, then Open it. After Open this app, it will ask you for root permissions. Click on Grant button, if it's asked for root permissions, and follow below steps. Click on Pencil icon from Top Right corner from this app, Now simply click on Add Button, and Add Contacts list, in which you want to send message. Select Date and time of your choice, then enter your message. Then Click on Add button, and you are done. Keep your Mobile Data Turn on, else this app will not work. Now this app will automatically send message in specific time. If you want to know, How to Send Files With Whatsapp then you are at right place, As you know, Whatsppp Don't allow to send zip, pdf, apk, rar etc files directly. But sometimes, you have to send files to other people, and it's very important. I will explain easiest way for how to Send any Kind of File, with the help of Whatsapp in few seconds. You can share big file too, with the help of this tutorial. This is the One of the Best Cool Whatsapp Tricks and Tips, which you should try in your phone. We was also shared How to Chat in Whatsapp From Pc. So checkout Full Step by Step Tutorial now from below for know more about how to share any kind of files with the help of Whatsapp. 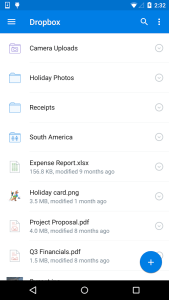 After successfully Install Dropbox app, Now Open it. Click on Upload Option, and Upload any file of your choice, which you want to share with your friends. When your friend will open that link, he / she will be able to Download File, When Click on Download Button. Want to Prank your friends? and Make fun of them? If yes then you are at right place. In this post, I will tell you about how can you create Fake Whatsapp conversation, and make fun of your friends, and prank with them. This is the one of the best Whatsapp trick, these days. You can Create Fake Whatsapp Conversation, with the help of Yazzy app, which is completely free for use, and available on Play Store. Simply Download this app now, and Create Fake Conversation of Whatsapp for make fun of your friends easily. Also Checkout How to Use Network Spoofer app for prank with friends. 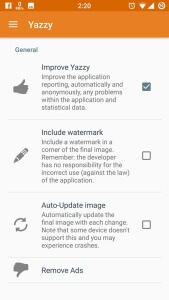 After Successfully Install Yazzy app from above link, Simply Open this app, and Select option of Settings, and Untick on Include Watermark option. Now Go Back to Main Screen of this app, Like Below Screenshot, and Click on Whatsapp. Now, In Next Screen it will ask you to enter all details. Enter all Details, accordingly which you want Fake Conversation of Whatsapp, and Click on Save Button, and you are done. Hey Guys, if you want to Turn on Notifications Pop Up in Whatsapp for read messages in speedy way, then you are at right place. i will guide you, how can you enable Whatsapp popup in your android device, and you will get All Messages in popup, and you can directly reply from popups without opening Whatsapp again and again. This is the Best and speedy way for replying to message of other people easily. Also See Airtel 3g Trick for Enjoy Free 3G Data in your Airtel Sim Card easily. 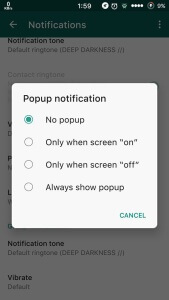 So if you are wishing to turn on Notification message pop up, then follow simple steps now from below. At First, Open Whatsapp from your Phone, and Click on menu button, and Goto Settings option. After That, Select Option of Notifications, Like Below Screenshpt. Now, In this page select option of Popup Notification, and Select Option of Popup According to your choice. 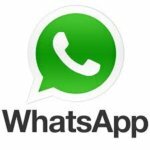 If you are thinking about how much data does whatsapp call use, then i will tell you here a way, how can you reduce data usage in Whatsapp Easily. If you use Whatsapp daily, and you make calls over whatsapp, want to lower the data usage for save memory Then you can follow below steps for Lower Data usage in your Whatsapp. Also read on Quora about this, How data does whatsapp calls use, for more information regarding this topic. According to assumtion, whatsapp use 1 MB data, if you use call 5 minutes. Whatsapp Calls costs very low, in comparison to other calls in operators. So Checkout more about this thing from below, for lower data usage in whatsapp from your device. Also checkout Take picture of someone who tries to unlock your phone. At First, Open Whatsapp From your Phone, and click on Menu Button , and click on Settings. You will see some options in this screen. Simply click on Chats and Calls option from here, and it will open new window. At The End, you will see option of Low Data Usage, simply click on it. It will lower the amount of data usage during a WhatsApp Call, and you it will save your data, while making calls over whatsapp. So Guys, these was the some Cool and Best Whatsapp Tricks 2016. We have added Steps for each and every trick, so you can easily use it without any Troubles. If you still have any kind of issues, while following this Guide, then you can simply comment below. I will try to help you out. Or if you have any suggestion, while following this post, then let me know from comments below. This was the Some Amazon Whatsapp Tricks, which you can follow and amaze your friends easily. We hope you like this our Best Whatsapp Tricks 2016, and we will share some more tricks like this In future, so stay tuned for that. Keep visiting Missing Tricks for more cool stuffs like this. Thanks for visiting.